This neutral farmhouse bedroom design adds plenty of texture, wood tones, and rich neutral colors. 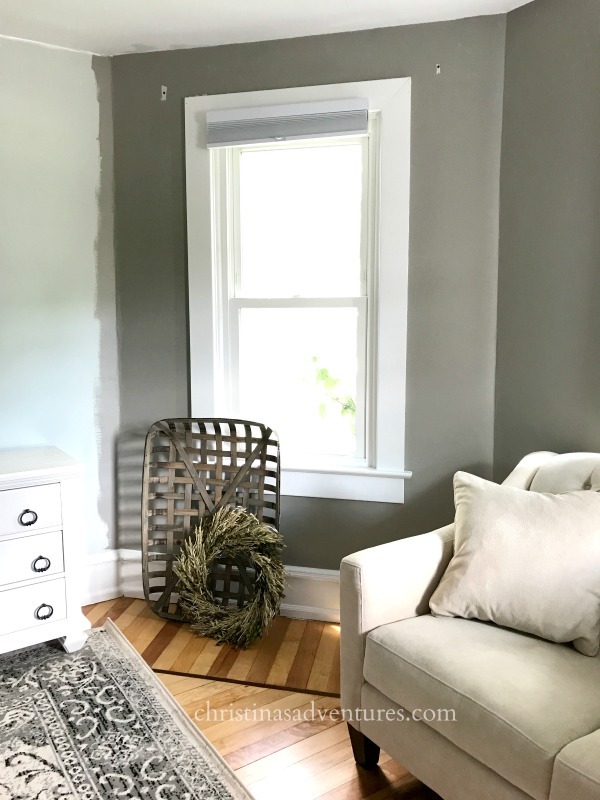 If you’ve been following along on Instagram, you may have been watching my stories and seeing that our bedroom is getting a (not so little) makeover. 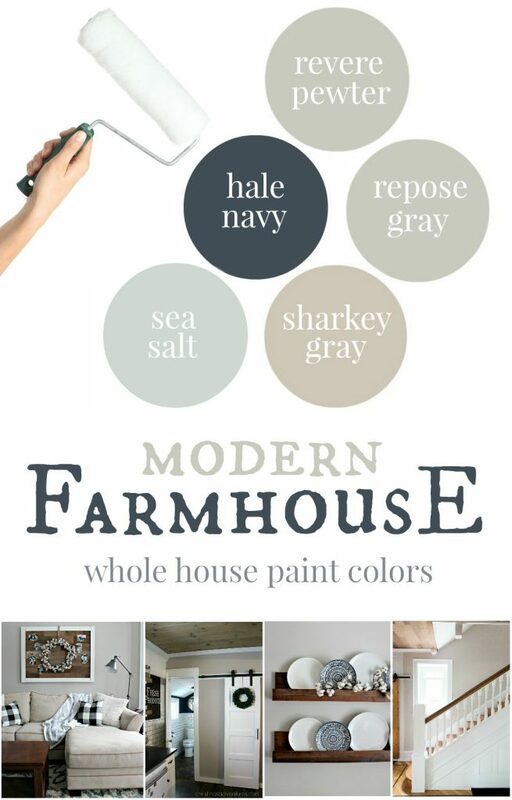 I got honest, and shared that while we painted our whole bedroom “sea salt” 2 years ago, I never liked it. I was expecting to get all of the Sea Salt lovers commenting, but I was surprised to hear that there were a lot of other people who felt just like I did! Apparently Sea Salt just doesn’t read well in everyone’s houses. 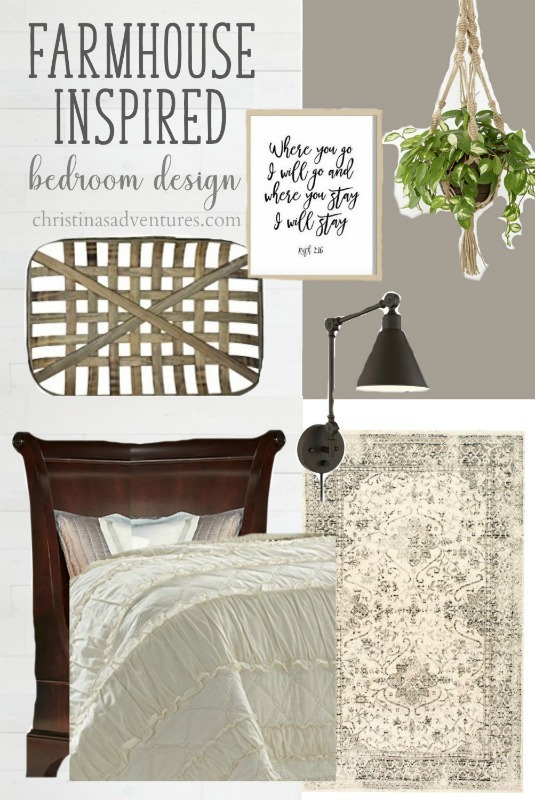 Our new bedroom direction: neutral farmhouse bedroom with rich tones & textures. I’ve finally figured out this is “my style”. I am loving spaces with visual textural interest, and I’ll always be drawn to neutral colors. This makeover is moving along quickly! 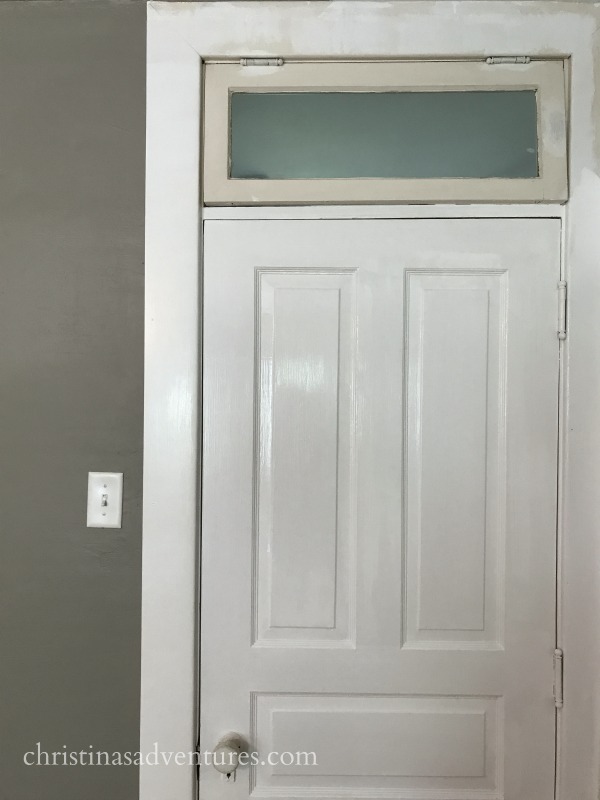 I painted the walls and touched up all of the trim this weekend. Can someone please tell me that I’m not the only one with unpainted spaces in my home? Because we’ve totally lived with our door like this for more than 2 years – ahh! I’ve been getting a LOT of colors about the paint color, so here it is. I got this paint mixed a Lowe’s. One thing that was missing from our bedroom the first time? Vintage and DIY pieces. And I truly missed them. Make sure you’re following along on Facebook and Instagram to see tutorials along the way! 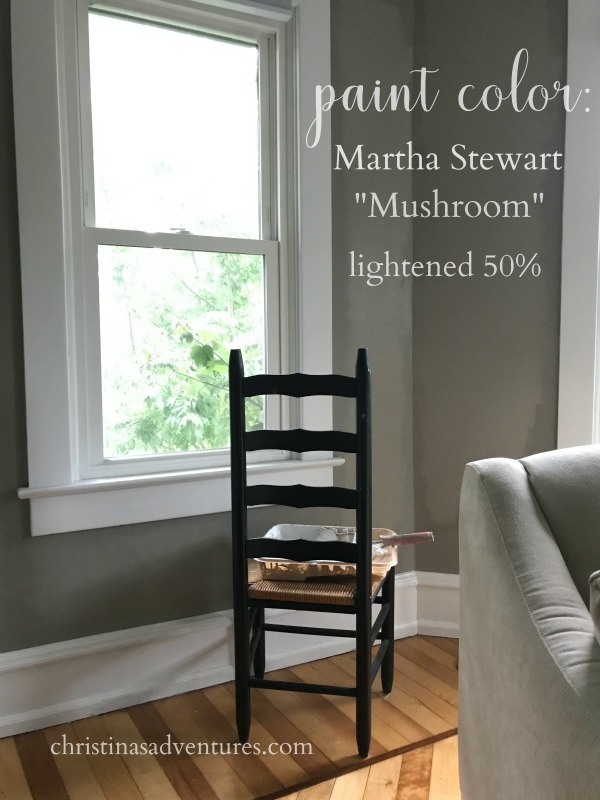 I LOVE that color: Martha Stewart’s Mushroom. Three years ago I painted all my trim Mushroom. The walls are white. But in the kitchen I painted the walls Flagstone and the trim white. I absolutely love these colors. It’s almost time to repaint and I’m not changing the colors. Except for the whites. I haven’t found the perfect white for my home yet. The Mushroom looks fantastic in your bedroom. Thanks so much, Claudia! I am really in love with the color too! 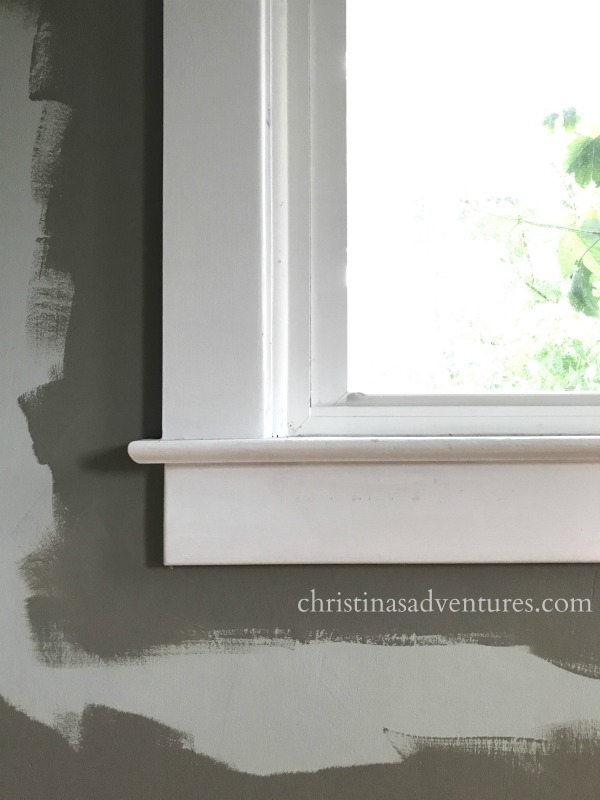 I love either untinted white right off the shelf (mostly for trim) and in our bathroom we used “white cotton” from the HGTV Home Sherwin Williams line – I love it! Hello, I am loving this color scheme. I stumbled upon it via Pinterest, not even sure how old this is. Ony phone it’s hard to tell the difference between Pewter Gray and Repose Gray. How would you describe the difference?